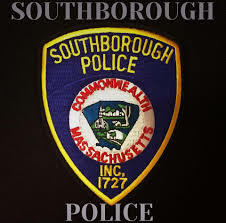 FRAMINGHAM – Southborough and Framingham Police are looking for a suspect, in connection with an armed robbery in Southborough. The suspect failed to stop for police on Route 9 east around 6;30 p.m.
Police said he is considered armed and dangerous, and was last spotted headed towards Framingham in a dark-colored sedan. No description has been released to the media. No other details available on the armed robbery, at this time.